Event actions increase the likelihood that site visitors remember, attend, promote, and share information about your events. 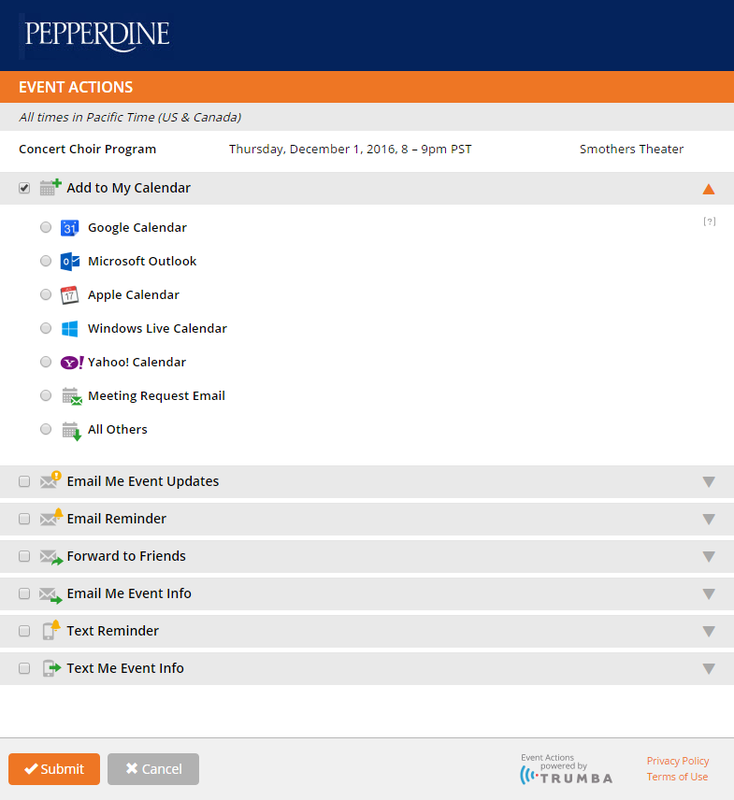 Visitors can easily add events to their personal calendars so they'll remember your events. Forward to Friends lets visitors share and promote your events. 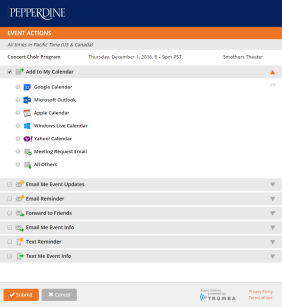 Your audience can keep up to date with your events through reminders and change notifications, increasing attendance and decreasing the number of missed updates. 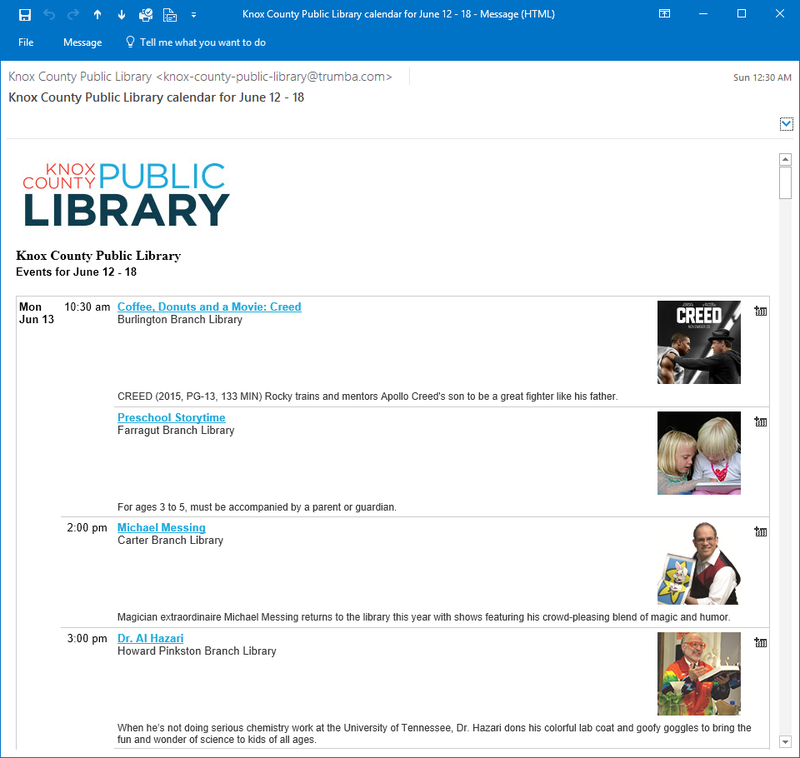 It’s easy to post events to your Facebook news feed, quickly tweet about events, and post event information on LinkedIn. Posts link back to the event details on your website, helping increase awareness and interest in your events. 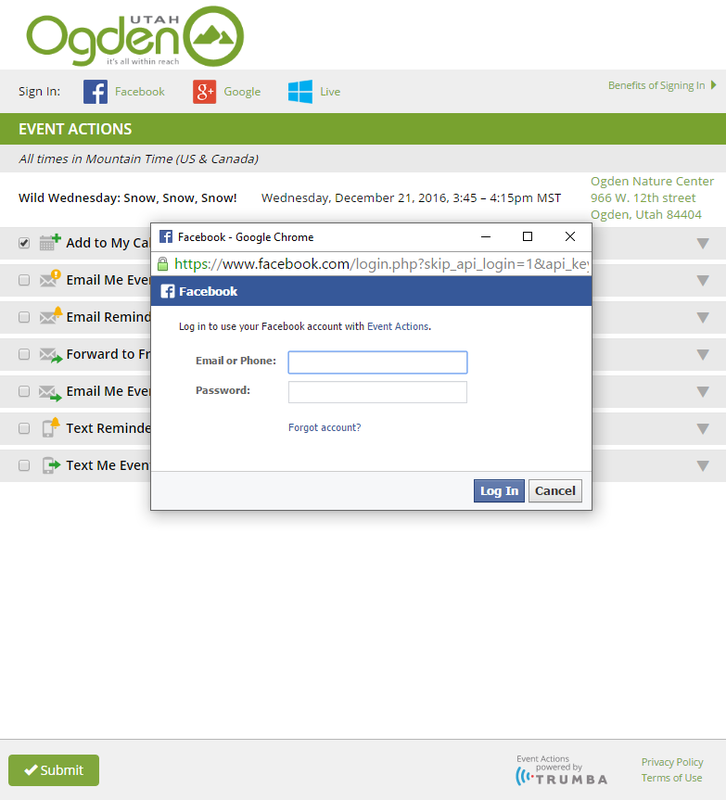 Visitor accounts give your audience a personalized list of the events they care about. 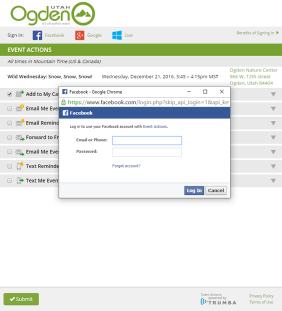 They can sign in using Facebook, Google, Microsoft, or Single Sign On accounts. Visitors can subscribe to regular calendar emails, to stay up to date with your whole calendar. You can keep people coming back with automated feeds. 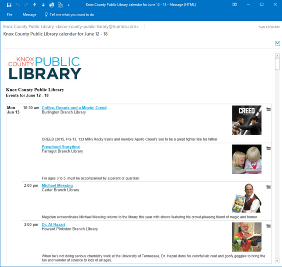 iCal, RSS, and CML (Atom) feeds provide another easy way for your audience to stay current with your calendar and upcoming events. 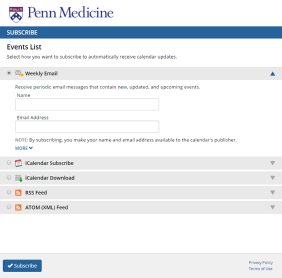 Site visitors can propose events on your website or intranet using custom event submission forms. You can decide whether to approve the events before they go live. With visitor accounts, event submitters can track the approval status of events they've submitted and withdraw unapproved submitted events.